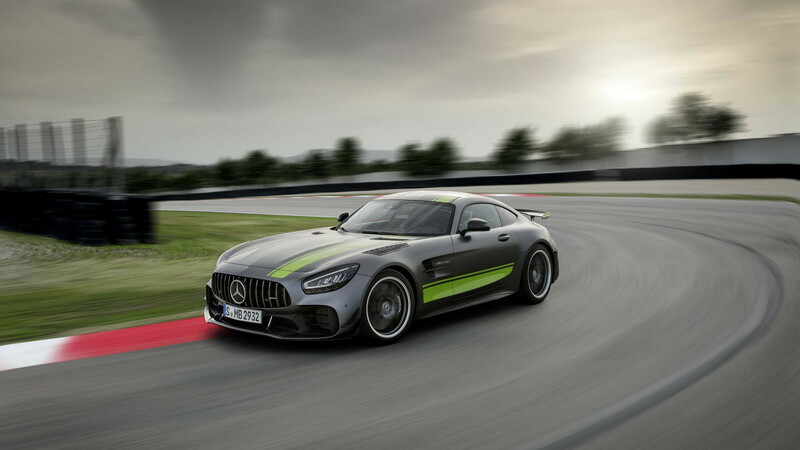 Mercedes-AMG on Wednesday at the 2018 LA Auto Show introduced an updated GT sports car range, and included in the fleet is a new flagship model: the GT R Pro. The limited-edition model is based on the track-focused GT R added for 2018 but brings even more goodies aimed at slashing lap times. 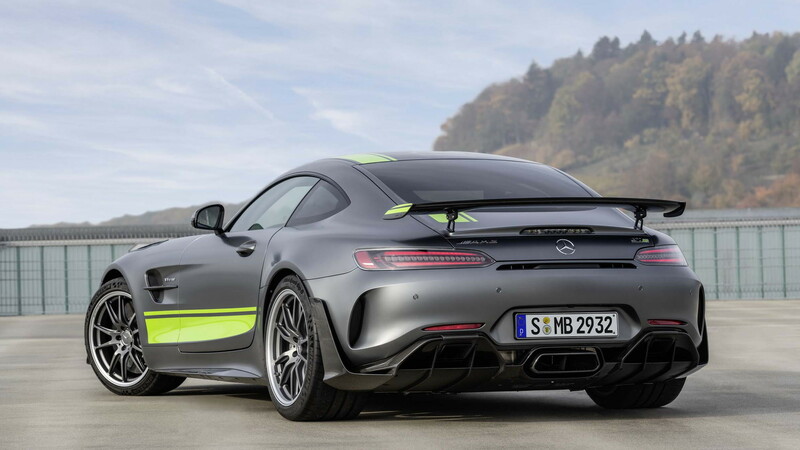 The upgrades have resulted in the GT R Pro lapping the Nürburgring in a time of 7.04.632, which compares to the time of 7:10.92 that the standard GT R set shortly after its own launch in 2016. 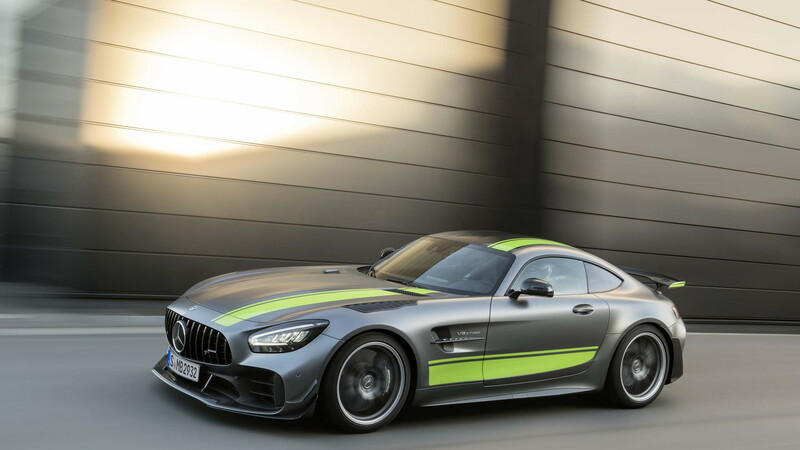 That's impressive considering the GT R Pro's 4.0-liter twin-turbocharged V-8 features the same 577 horsepower and 516 pound-feet of torque as the standard GT R. The GT R Pro also matches the standard model's 0-60 mph time of 3.5 seconds and top speed of 198 mph. The key upgrades include weight-saving mods, new suspension, and aerodynamic fine-tuning for more downforce. For the suspension, the engineers added new coil-overs that offer even more choice for tailoring the setup to the particular track. The front axle is fitted with an adjustable torsion bar made of lightweight carbon fiber, while a hollow steel unit is used at the rear. Carbon fiber has been used not only to save weight but also to up rigidity in some areas. For example, a carbon panel has been used to stiffen the rear-end structure and as a result adds even more stability to the body shell. Additional carbon fiber pieces serve as the new aerodynamic setup. Using lessons learned from the GT's racing programs, the engineers have developed a new front splitter and added flics and extra vents to help channel air. At the rear, an additional aero element at the wheel arch on either side rises up vertically almost to the level of the tail lamps. The combination of all these measures is said to significantly increase the downforce. 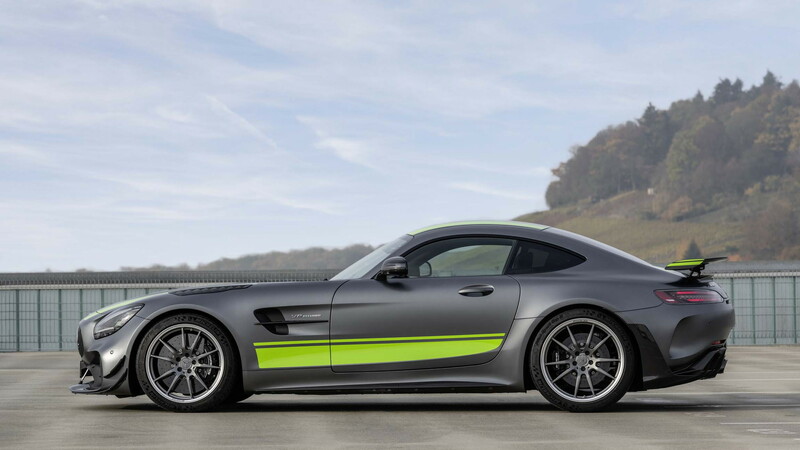 AMG boss Tobias Moers has previously referred to the GT R Pro as a “clubsport” package, i.e. something to enhance on-track performance but not to meet any specific competition rules. Note, this isn't the replacement for the long-awaited Black Series model. The Black is still coming, though not for another year or two. As for the rest of the updated GT range, the cars feature subtle tweaks to their styling but sadly no extra power. 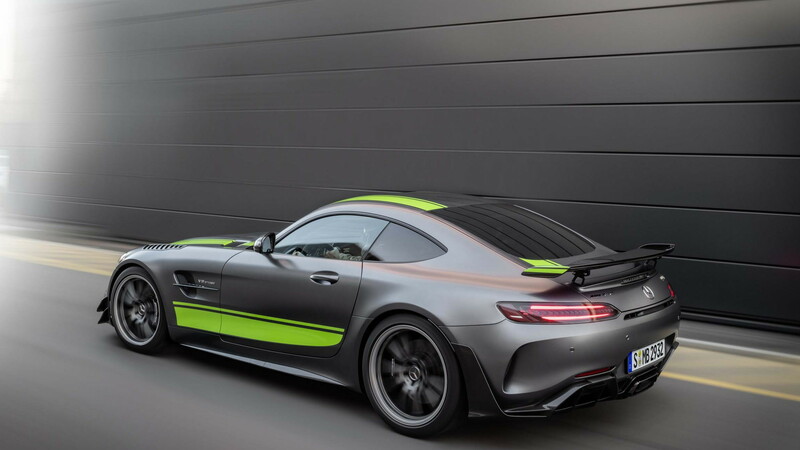 The interior of the cars has been updated to match the high-tech look featured in AMG's recently launched GT 4-Door Coupe and now includes a digital instrument cluster.